Any business works for one common reason that is to generate revenue. So, if we see the monitrial aspect, leads play an vital role. 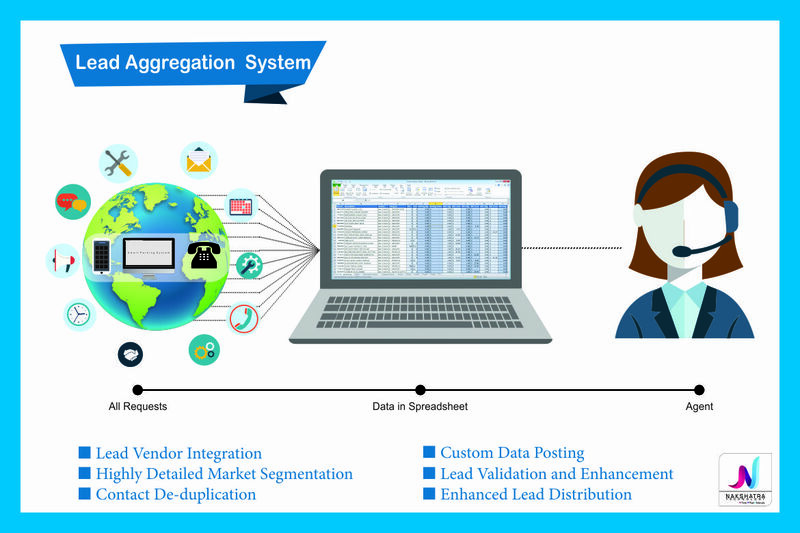 We have come up with Lead Aggregation system. This helps you in the following ways:Consolidating data about your Leads from various lead sources like, Messages, Emails, Calls, Callender's, your lead’s provisioning partner etc. We collate into Google Spreadsheet in a easy to view and retrieve format. So that you don’t miss any lead. We then segment and fragment the data which we have retrieved and properly categorize as per your format.Next step is, we validate the data which has been extracted, to increase the level of authenticity. This helps in reduction of fake leads.Then, we finally distribute the leads amongst the number of available agents. Our system is smart enough to handle any number of leads and we have a strong algorithm in place that makes sure distribution is in equilibrium and dividation in equally done amongst the Agents.